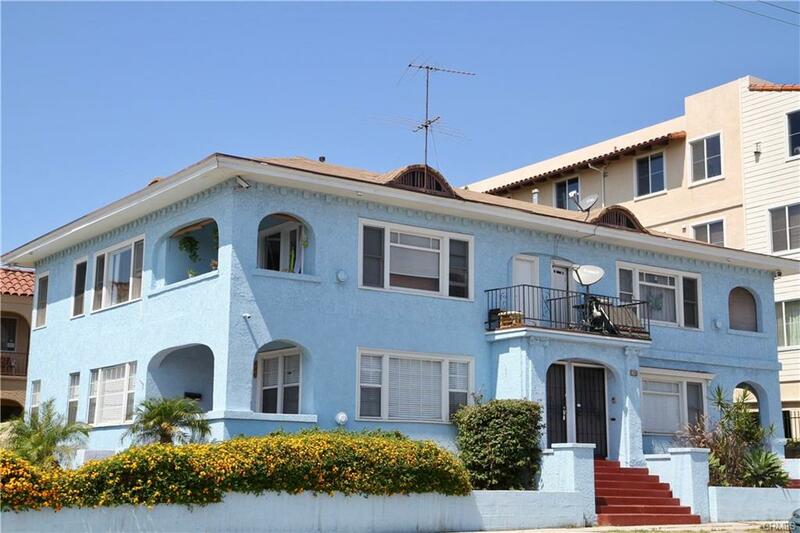 Huge 4 unit building priced under 13X GRM, lowest price per square foot in San Pedro. What a great opportunity for investors and savvy owner-occupied buyers alike! Located in the heart of San Pedro – this building consists of four large 2bed/1bath units, each with their own laundry room. Three out of the four units have been recently rehabbed/ updated with new appliances/ fixtures and two of these units will be delivered vacant at close of escrow. Each unit has a great layout and is separately metered for gas & electricity. With close proximity to Downtown San Pedro and the LA Waterfront (less than a mile from the new San Pedro Public Market, Space X Rocket & Spaceship Facility, Alta Sea Labs, Nelson One and other subsequent new developments), the new owner can capitalize on the resurgence of this strong rental market. Plus, there are plenty of local shops, restaurants, breweries, museums, transportation, parks, and Cabrillo Beach nearby for all to enjoy. This property has immense potential with solid income and is the perfect property to have in your portfolio.